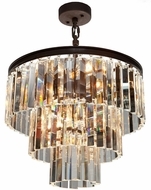 Where can you install petite chandeliers, such as an inexpensive crystal mini chandelier, in your home? Mini chandeliers can be placed in bay windows, so that sunlight creates a beautiful prismatic effect through the pendants on the crystal mini chandelier. If your dining area does not have a high ceiling or distinctive architectural details, you can install affordable mini chandeliers or crystal mini chandelier fixtures to add glamor to your petite dining room. 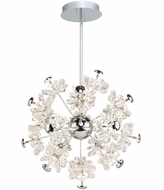 Mini crystal chandeliers also add affordable beauty to nurseries and children’s’ rooms. Place mini chandeliers in the bathroom or the vanity in your bedroom, and the miniature chandelier will complete the room’s sophisticated look. 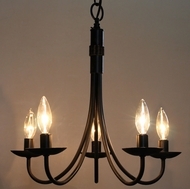 Mini chandeliers for bathroom applications are an inexpensive and stylish way to give the room a quick makeover. There is no limit to the places where you can put mini chandeliers and you can get the best prices on the best mini chandeliers when you take advantage of our low prices on mini crystal chandelier. 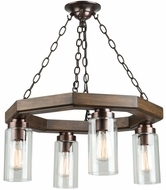 What are the dimensions of mini chandeliers? 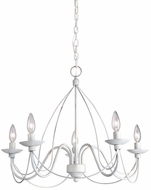 Some lighting manufacturers define mini chandeliers as less than 12" in diameter; other brands may call chandeliers less than 20" in diameter small chandeliers. 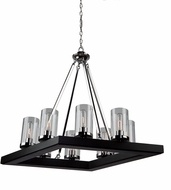 Regardless of the measurements, these chandeliers all fit in the miniature chandelier category. 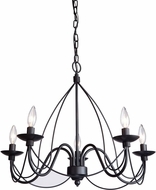 You can buy mini chandeliers for bathroom decoration and to accent other areas of the home from our affordable miniature chandelier catalog. 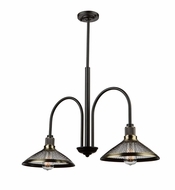 Forget the limited selection of cheap mini chandeliers you'll find at the home improvement stores; we have the highest quality lighting products available. How can I decorate a room with mini chandeliers? 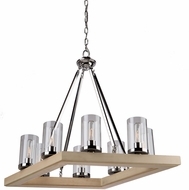 You can choose a style of small chandelier to match the style of the rest of the room's decor. For example, you can select traditional mini crystal chandeliers for a feminine bathroom if the hardware is also vintage. 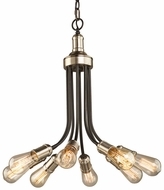 Another option is to select finishes for mini chandeliers that contrast with your wall color. For instance, you may have a chocolate-hued wall. 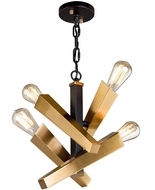 Install tiny chandeliers with a white, brass or gold finish. 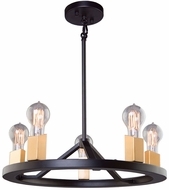 In other words, selecting bronze mini chandeliers in a dark room may make it to disappear into the decor like a chameleon; and you definitely do not want any mini crystal chandelier to do that.